Unlike other adult classes in Sydney, you’ll be happy to hear that our classes are definitely a genuine adult class, with ages ranging from 21-60. And no, you’re definitely not too old! We pride ourselves on small classes – usually between 4-12 students depending on the class – which means you’ll get personal attention and be able to thrive in a supportive and community-minded environment. Our classes are perfect for a range of levels, abilities and fitness levels. Some of our students have rekindled a love of dance they may have begun as a child, while others have recently commenced as absolute beginners. We also have a regular following of dedicated students that have been with us for over 8 years! They’ll act as a wonderful support network as you begin your adult dance journey with us. We know that not all types of movements are for all types of bodies (you’ll never see me going for a run, that’s for sure!) and we’re experienced in catering for a range of abilities and pre-existing injuries. We’re able to give alternatives for different levels within exercises, or alternative movements altogether to accommodate the needs and preferences of our students. We don’t believe that age, ability, or experience should hold anyone back from experiencing the benefits of dance and movement. 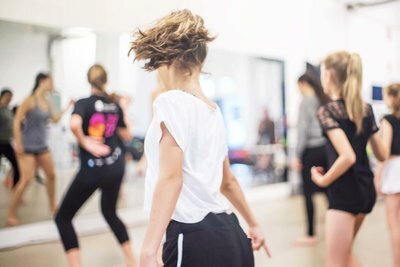 So if you’ve ever wanted to get into a dance class, or dust off your technique after a break from dance, then read on to find out more about our styles to see which class is best for you! 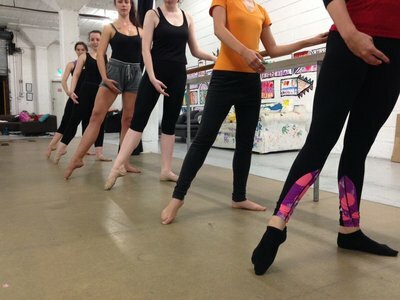 OUR INNER WEST ADULT DANCE CLASSES ARE FUN, AFFORDABLE AND RELAXED – NO EXPERIENCE, LYCRA, OR TIGHTS NECESSARY! This 45-minute class is focused on rebuilding or gaining flexibility, core strength and muscule tone and endurance. Each class starts off with an all-round stretch session and then moves on to a 3-stage body workout focusing on arms, abs & back and butts & legs. Workouts are based on short, intense bursts with small recovery sessions, which help to kick-start the body and have you looking and feeling great. To keep things interesting, we incorporate a range of techniques and props, including fitballs, chi balls, massage rollers, super-light hand weights and therabands. Classes are small, friendly and built upon an environment of encouragement and achievement. Have a pre-existing injury or a physical limitation? Don’t let that stop you! We’re experienced in providing alternative movements and exercises so everyone can get moving! Stretch & Strength classes are on Monday's from 6:45-7:30pm and are a super easy $10! This class is for anyone who has ever thought “I want to get back into dance but I’m nervous because it's been so long”. Aimed at advanced beginners-intermediate level, we teach at a pace that feels right for you. There’s no set steps or any prior knowledge of strange French words needed beforehand – just turn up and be ready to have a laugh with us! If something doesn't feel right, we're totally happy to give alternatives so you can move in a way that feels right for you. This class offers the space, patience and time to give individualised attention on developing fundamental lyrical, contemporary and ballet techniques. We then put those basics into practice with more fluid and expressive movements to loosen us up and de-stress. Whether you’re there to get a strong core, fulfil a childhood dream, get some 'me' time, or approach a new hobby in a fun and supportive environment – we welcome you with open arms. “Too old” is not in our vocabulary! Our Lyrical classes are on Tuesdays from 7:00pm-8:00pm and are $20. Our Adults Jazz Mini-Courses are great whether you'r getting back into dance or brand new to dance. Over 4-5 weeks you'll learn and polish a routine. Each course is a little different, so expect a range of jazz styles from more commercial feels to theatre jazz and different levels, from Beginners, to Advanced Beginners, and intermediate. Our class begins with a warm up and a little strength or balance work. Each lesson features 1 or 2 small technique combinations where you'll learn and refine specifics steps like kicks, turns, and jumps that often feature in the dances. After that we'll get stuck into the dance. Each week you'll learn a little more and go over the last week's content and by the end you'll feel confident and get to really have fun dancing out your routine. Love tap but have never been able to get to a class often enough to notice real progress? Want to get fit doing something fun? Love to dance but find it hard committing to a full term or year of adult tap classes? We know life is busy for adults, so we’ve specifically designed these mini-courses to be jam-packed with as much tap-tastic fun and learning in a 1-hour class over 4 weeks. Each course is dedicated to learning a classic scene or song from timeless films, musicals, stage shows and more. Old or new, classic or fringe, quirky or traditional – we love it all, and you will too! You’ll learn new tap steps, refine your skills and have fun as you stamp away those weekday stresses. Our next Tap Mini-Course will begin Tuesday 30th April! Our ballet mini-courses are perfect for absolute beginners to advanced beginners. Never done ballet before but always fancied a spot at the barre? Well we know life is busy for adults, so we’ve specifically designed these mini-courses to be jam-packed with the 'everything you need to know about ballet' basics in just 4 weeks. You'll improve your posture, muscle tone and appreciation for music and movement in a supportive and laid back environment. We run different workshops throughout the year with different themes to keep you inspired and motivated. One course may be aimed at gorgeous flowing port de bras inspired by Swan Lake, other times it might be slow and sustained adage feels from La Bayadere. No need to sign up – just come on down to the studio. Dedicated to improving the health and well-being of members of the local community, our Stretch & Strength class is, and always will be, a friendly and super affordable $10! There’s no need to register online for classes, and you can pay on the night, either by cash or credit card/debit card. We know that life gets busy, so our classes are run on a casual drop-in basis. No need to book in advance or sign up to contracts or monthly memberships. Just come when you can make it! You can pay by cash or card on-site too. Classes are conveniently located in St Peters, with access to public transport (St Peters station, 370/422 bus routes) and plenty of free parking too! Head in the driveway off Unwins Bridge Road, and follow the ramp down and towards the right… You'll see us on the right hand side once you're off the ramp. A bottle of water and a smile! We’ll provide the rest. If you prefer, you can bring your own exercise mat for the Stretch & Strength class, but we have plenty here too. Whatever you feel comfortable in. Something stretchy and easy to move in is best. No leotards and tights required!… although some of our Lyrical Ballet ladies don’t mind getting into the spirit occasionally. For Lyrical Ballet, you can wear ballet shoes if you have them, or dark socks are suitable too. For Stretch & Strength most students go barefoot or in dark socks, however, some of our adult dance class students prefer a little more support and begin the class in sneakers. 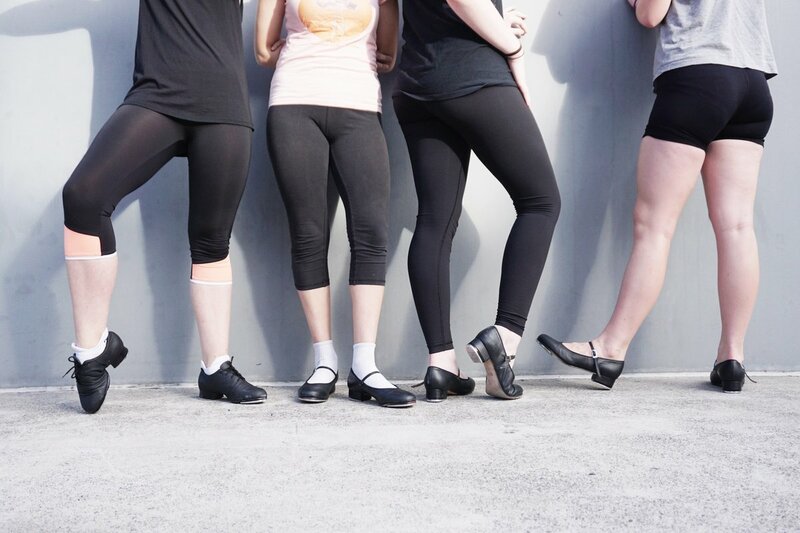 Dust off your tap shoes for our tap mini-courses. I haven't exercised in a while. Is this class suitable for me? For many of our students, our Stretch & Strength class has helped them gradually build their fitness and a healthier lifestyle. We are always there to support you and your needs in class, so if something doesn’t feel right, just let us know and we’ll modify exercises and steps for you. You don’t need to do the whole class – feel free to move at your own pace. Others have jumped straight into an adult tap mini-course as a fun way to keep moving and improve your fitness. And remember, you’re not alone. When you look around in one of our classes you’ll see a range of abilities. The student who has awesome flexibility is working on their posture. The student with amazing strength is working on their range of motion. There’s no competition in our classes, and we encourage questions so you can get the most out of each and every lesson. Our classes are open level, meaning the teacher will adjust the content depending on the students in class that night. We have plenty of experience in making exercises more simple and foundational, and we’re able to make exercises more challenging should you want a little extra push. If you’re after a little more, we’ll often add a rise in exercises, or there’s the option to do double pirouettes instead of singles, or work on triple time steps instead of working on basics… and if the thought of a double pirouette makes you want to hide in the corner, then don’t worry, we’ve got ways around that too! How can we help you find the perfect class?